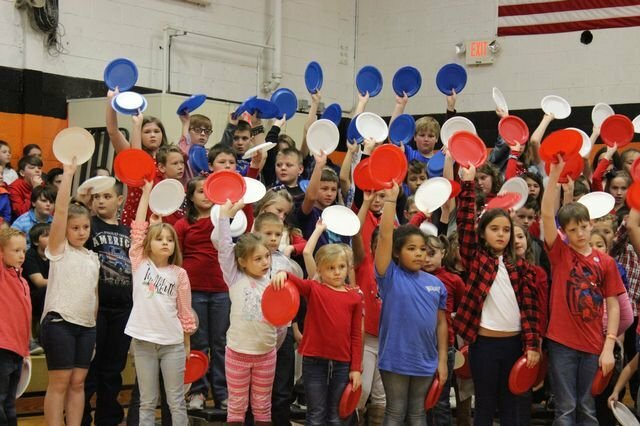 Bulls Gap honored our veterans today with a patriotic program that featured the JNROTC from Cherokee H.S., musical performances by the middle school tones chimes class and elementary music classes, a history of Veterans Day, and recognition of the veterans. The performance of “America the Beautiful” by 2nd - 5th grades was a highlight! Thank you to the teachers who organized the program, Mrs. Rebuck Cox for putting together the musical performances, and most of all, to our veterans.